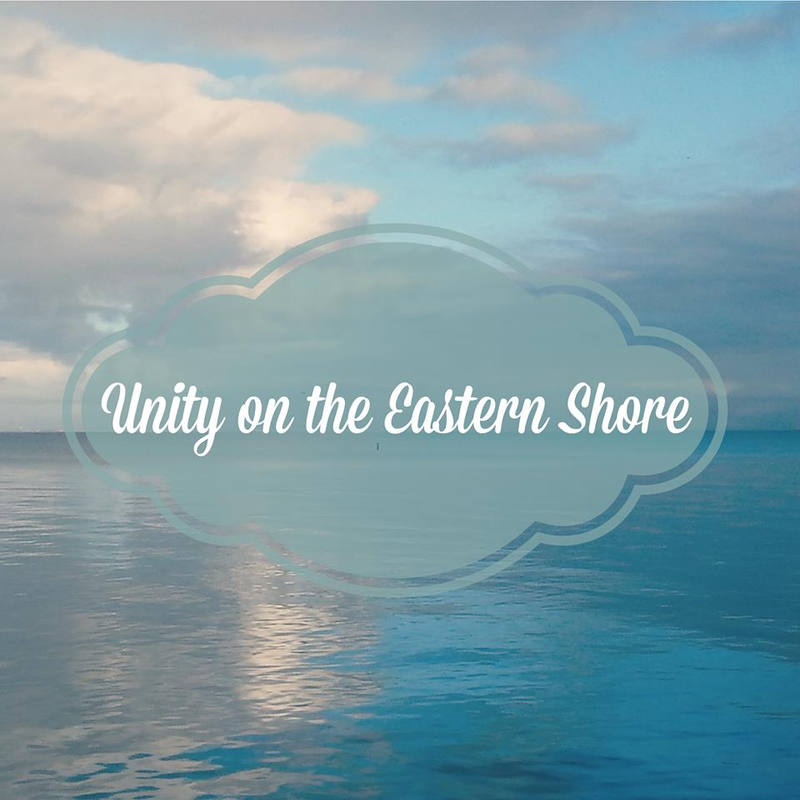 Unity on the Eastern Shore (UES) invites new visitors to gain a new level of spiritual awareness through worship and fellowship. In Fairhope, they hold a Celebration of Life service every Sunday at 10:30 a.m., plus monthly healing circles and blessings for family pets. UES is a gathering of New Thought believers that come together to be loved and healed in a Christ-centered community. As a spiritual family, they encourage each other to demonstrate the Christ mind that lives within and they celebrate their unity with everyone around the world and with God. Ascent Audiology, in Fairhope and Foley, is offering free hearing aid cleanings and consultations to educate patients on the relationship between hearing health and dementia. A recent study by researchers at Columbia University Medical Center (CUMC) found a direct correlation between improved cognitive function and hearing aid use in older adults with hearing loss. “Our study suggests that using a hearing aid may offer a simple, yet important, way to prevent or slow the development of dementia by keeping adults with hearing loss engaged in conversation and communication,” says Dr. Anil K. Lalwani, M.D., professor at CUMC. This leads to overall better mental astuteness, quality of life and less likelihood of social isolation, which fuels dementia in many individuals. Medical research presented by Dr. Frank Link at the annual American Association for the Advancement of Science meeting has found that hearing loss contributes to dementia and mental decline, estimating that as much as 36 percent of dementia risk can be attributed to hearing loss. His 2013 study suggests that hearing loss is linked to a 30 to 40 percent greater risk of cognitive decline in people with hearing loss versus those without. For more information, call 251-990-0535 (Fairhope) or 251-517-4237 (Foley), or visit AscentAudiologyFairhope.com. See ad, page 19. Alabama Coastal Foundation is hosting an IMAX screening of The Underwater Forest at 5:30 p.m., January 18, at the Gulf Coast Exploreum Science Center. A discussion with filmmaker Ben Raines will follow the showing and ticket proceeds will support efforts to designate the area as a marine sanctuary. This nature documentary details the discovery and exploration of an ancient cypress forest found 60 feet underwater in the Gulf of Mexico, due south of Gulf Shores, Alabama. The forest dates to an ice age more than 60,000 years ago, when sea levels were about 400 feet lower than they are today. Scientists believe giant waves driven by Hurricane Ivan in 2004 uncovered the forest. It appears to be a wholly unique relic of our planet’s past, the only known site where a coastal ice age forest this old has been preserved in place. It is considered a treasure trove of information, providing new insights into everything from climate in the region to annual rainfall, insect populations, and the types of plants that inhabited the Gulf Coast before humans arrived in the new world. Scientific analysis of the site is ongoing. Tickets: $10. Location: 65 Government St., Mobile, AL. For more information visit JoinACF.org. During the gift-giving season, Natural Awakenings always encourages the practice of conscious consumerism with an annual guide to healthy and eco-friendly gifts. This year, we’re diving deeper into the concept of conscious giving by highlighting thoughtful gift ideas that also give back to causes and communities. With 13 types of minerals in its filter, Peak Alkalinity's Hydro2Go water bottle can convert tap water into alkaline ionized water in less than 10 minutes. Alkaline water helps raise the body’s pH level so that it can function efficiently. Giving back: 10 percent of all Peak Alkalinity proceeds are donated to a different charity each month. In December, donations will benefit the PKD Foundation for polycystic kidney disease research. The store also offers free refills of alkaline water to cancer patients. $59 at Peak Alkalinity in Fairhope, AL. For more information, call 251-270-7200 or visit PeakAlkalinity.com. All of The Little Tree Project’s baked goods are vegan and gluten-, wheat-, dairy-, egg-, soy- and nut-free. Order chocolate chip cookies, brownies, dark chocolate cake, blueberry oat squares, biscuits, banana bread or vanilla cake to brighten a teacher, neighbor or co-worker’s day. Delivery is available in the South Alabama area. Giving back: The Little Tree Project’s mission is to bring victims of human trafficking to freedom by raising awareness and funds for this unspoken reality in local communities. $5 to $12.50 from The Little Tree Project in Daphne, AL. For more information, email TheLittleTreeProjecta21@gmail.com or visit TheLittleTreeProject.com. Organic Way’s Holiday De-Stress Kit includes Materia soap (made with biodynamic-organic olive oil, fair trade babassu oil and organic poppy petals), a Lamina stainless steel grater and a Giara glass jar. Materia creates a soft lather and gentle exfoliation, or it can be grated with Lamina, an elegant grater that carves artisanal-style bath melts to transform any bath into a deeply relaxing holistic wellness and beauty ritual. Store bath melts in Giara, the 100 percent recyclable glass jar. Organic Way’s Tratto Fabric and Lingerie Spray is an ultra-luxurious linens spray crafted from farm-grown biodynamic-organic essential oils and zero synthetic ingredients. Linens and fabrics stay fresh with the aromas of organic Mediterranean citrus orchards, biodynamic lavender and jasmine and rose fields. Giving back: In addition to only using 100 percent recyclable and reusable glass and aluminum containers for all of their products, Organic Way supports Ocean Cleanup with donations and promotions. This non-profit organization’s passive drifting systems utilize ocean currents and are estimated to clean up half the Great Pacific Garbage Patch in five years’ time. $29.90 kit and $69 spray at TMAC Hair Studio, in Mobile and Daphne, AL. For more information, call 251-607-6666 or visit TMACsHairStudio.com. The yoga-inspired apparel company, Spiritual Gangster is a movement designed to join ancient wisdoms with modern culture. These “Don’t Hate, Meditate” and “Grateful” tops reflect their mission to inspire positivity, generosity, kindness and connectedness. Giving back: Spiritual Gangster donates a meal to Feeding America for each item sold and has donated more than 10 million meals to date. Proceeds also support Cambodian Children’s Fund, Phoenix Children’s Hospital and Make a Wish. $58 to $98 at Soul Shine Yoga, in Fairhope, AL. For more information, call 251-225-4597 or visit TheSoulShineLife.com. To stuff Fido’s stocking, consider picking up some palatable NOW pet supplements which offer a great way to ensure your pet is getting the nutrients and ingredients he or she needs for optimal health. Giving back: NOW gives directly to dozens of charities with “self-enabling” models, teaching recipients the skills they need to take care of themselves going forward. Meal-A-Day Americas, Vitamin Angels, School and Community Assistance for Recycling and Composting Education (SCARCE)are just a couple of the benefitting charities. $18 to $25 at The Health Hut, in Mobile and Daphne, AL. For more information, visit HealthHutAL.com. Senhoa’s Clarity jewelry collection was designed by yogi-influencers Cristen Barker of New York and Kimberly Hise of Daphne. Also known as @ChinTwins (TheChinTwins.com), the sister team created a simple yet elegant line that features versatile body jewelry, unique earrings and a drop necklace, as well as a fragrant wooden bead mala necklace and bracelet. Giving back: 100 percent of sales helps fund Senhoa’s early intervention initiatives which provide safe employment, life skills and support platforms to survivors of human trafficking in Cambodia. $25 to $95 from Senhoa.org. The Kannaway Salve is specially formulated to protect skin from aging, roughness and environmental effects. Its revolutionary combination of hemp cannabidiol oil and proprietary East Asian botanicals brings rich, nourishing moisture to all skin types. Giving back: Kannaway has chosen ECHO Connection as a charitable partner because of their dedication to connecting those seeking the therapeutic properties of cannabinoids with the resources, community support and medical professional guidance needed to move forward. $4 to $55 at TMAC Hair Studio, in Mobile and Daphne, AL. For more information, call 251-607-6666 or visit TMACsHairStudio.com. Two wheeled travel is more fun than four and Cannonade bikes are tested and built so that every ride is a great ride. For decades the company has meticulously designed bikes for racing, commuting and cruising, both on road and off. Giving back: When you support local bike shop Pro Cycle and Triathlon, you’re supporting a more bike-friendly community. Pro Cycle and Triathlon regularly sponsors community initiatives such as bike racks and Fairhope Elementary’s Bike to School days. $260+ at Pro Cycle and Triathlon in Fairhope, AL. For more information, call 251-929-7060 or visit ProCycleAndTri.com. Green Drinks will have something for everyone at their event on November 14 at Fairhope Brewing Company. The monthly happy hour takes place from 5 to 7 p.m. and will feature live music by the Strangled Darlings, a folk-rock duo from Vermont. Throughout the event, Rain Keane of Good Scents Flowers and Herbs will be selling pollinator-friendly, organically-grown plants, and Sunflower Cafe will be selling $5 organic dinners that feature dishes from their Thanksgiving catering menu. “Green Drinks is a casual event for anyone that is interested in sustainable living,” says Anna Miller, a member of the Green Drinks organizing committee. “It’s a great way to connect with like-minded people in a relaxed environment. Friends and family are always welcome.” Mobile Bay Green Drinks takes place in Fairhope every second Tuesday and in Mobile every third Wednesday. Location: 914 Nichols Ave., Fairhope, AL. For more information, call 251-279-7517, email MobileBayGreenDrinks@gmail.com or visit Facebook.com/MobileBayGreenDrinks. Fish River Trees Christmas Tree Farm will be open from 8 a.m. to 5 p.m., November 24 through December 23, to help families celebrate a more sustainable holiday with living Christmas trees. Located five miles east of Fairhope, in the Marlow/Fish River community, Fish River Trees has been providing the finest choose-and-cut trees, fresh-cut firs and container-grown, environmentally-friendly living Christmas trees for 34 years. Farm visitors will enjoy a live manger scene open during regular business hours. On the first three weekends, Santa will be visiting the farm from 10 a.m. to 4 p.m. and visitors can enjoy free farm tours aboard the Tree Train, plus camel and pony rides for a small fee. Donations will also be collected for Trees for Troops. Location: 13982 Woodhaven Dairy Rd. E., Summerdale, AL. For more information, call 251-988-8114, email FishRiverTrees@gultel.com or visit FishRiverTrees.com.